Become a leader in the vital industries of biotechnology and pharmaceuticals with a Master of Science in Biotechnology. Our expert faculty will prepare you for a career while you get hands-on experience and one-on-one instruction in our state-of-the-art labs. You’ll graduate UHCL’s biotechnology master’s program with a solid grounding in biochemistry, molecular biology, cell biology, genomics and proteomics. With a Master of Science in Biotechnology, you can be part of new and exciting discoveries that may change many lives. 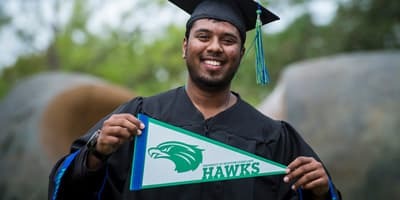 UHCL is the first university in Texas to offer three concentrations in Biotechnology: Molecular Biotechnology, Bioinformatics and Computational Biology, and Biotechnology Management and Marketing. You'll be able to tailor your coursework to your specific interests. Graduates of the Master of Science in Biotechnology program have gone on to work as geneticists, microbiologists, biomedical engineers, biochemists, biophysicists, microbiologists, epidemiologists, food scientists, soil and plant scientists and in many other new, emerging fields. 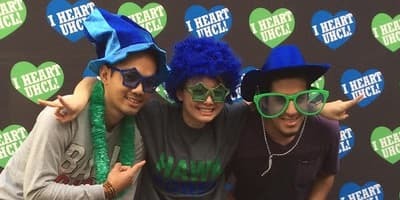 UHCL’s proximity to world-renowned centers of medicine and biotechnology give you a distinct advantage when beginning or advancing your career. Through advances in the areas of genomics, proteomics and biomedical imaging, there is an increased need for highly qualified specialists who possess the skill to analyze biological data and build integrated models of biological systems and use them to create real-world strategies that will help prevent or treat disease. 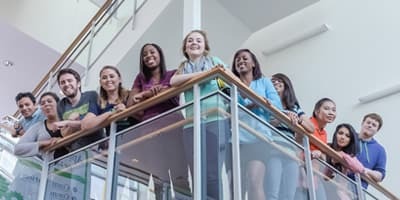 At the University of Houston-Clear Lake, you can earn a Master of Science in Biotechnology with a Specialization in Bioinformatics and Computational Biology to obtain the crucial experience you need to advance your career in modern biomedical research. Job prospects within this field are rapidly widening, supported by the pharmaceutical and biotech industries who are looking for skilled scientists able to interpret existing genomics data and use it to uncover new drug therapies. This degree from UHCL will put you at the forefront of a growing field in which you'll occupy a key role in expanding the intersection between computation and biology. Take your Master of Science in Biotechnology to new heights with a Specialization in Biotechnology Management and Marketing at University of Houston-Clear Lake. With this unique focus on the ever-growing field of biotechnology, you will learn the necessary research and development skills for the creation of new products as well as the crucial tools for managing projects in the production of those products and then successfully introducing them to the general public. And this will all take place in a stimulating environment with small class sizes. This is a great degree program for the student who wants to take a leadership role at their current job without worrying about the traditional MBA. Your courses will discuss key principles in marketing, management and organizational behavior so you can present the findings to willing investors, buyers and companies.. And you'll still spend plenty of time in the laboratory exploring the current trends in the world of biotechnology. With a Master of Science in Biotechnology with a Specialization in Molecular Biology from University of Houston-Clear Lake, you'll be equipped to compete with the most qualified scientists for highly coveted positions in a rapidly advancing field. Your degree will have applications in nearly all aspects of human life, including plant and animal agriculture, aquaculture, chemical and textile manufacturing, forestry and food processing. You'll complete your coursework in both classroom and laboratory environments, as you study and modify nucleic acids and proteins to find new applications in human and animal health, agriculture and the environment. Molecular biotechnology is a dynamic field driven by the ability to transfer genetic information between organisms with the goal of understanding key biological processes or innovating new products. Your degree from UHCL will impart the skills and knowledge you'll need to join a company that develops or improves medications, vaccines or diagnostic tests that benefit human and animal health. Significant workforce supply and demand gaps already exist, and your degree from our College of Science and Engineering prepares you to fill the global economy's increasing need for scientists who possess the technical and leadership skills to continue researching, developing and innovating. UHCL's Biotechnology program is the only program in Texas to offer three specializations: Molecular Biotechnology, Management, and Bioinformatics.